I have an Arctic Cat 150. I went to clean the carb and removed the choke assembly attached to the carburetor. 30 min later I was ready to put the carburetor back on my bike (literally, the last screw) when I realized the spring didn't look exactly the way it did when I took it off. 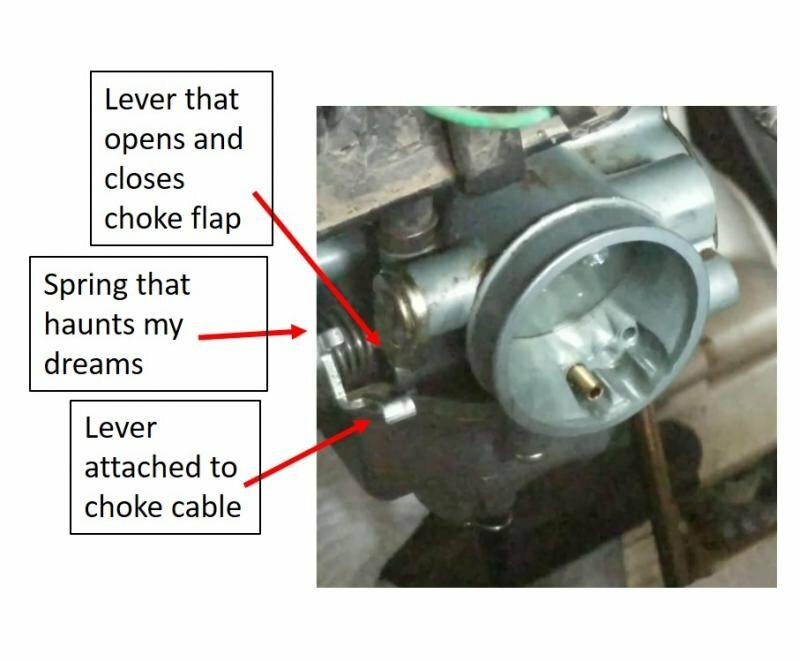 Worse, the carburetor choke flap was getting caught closed (not literally, it would move freely, see next sentence). 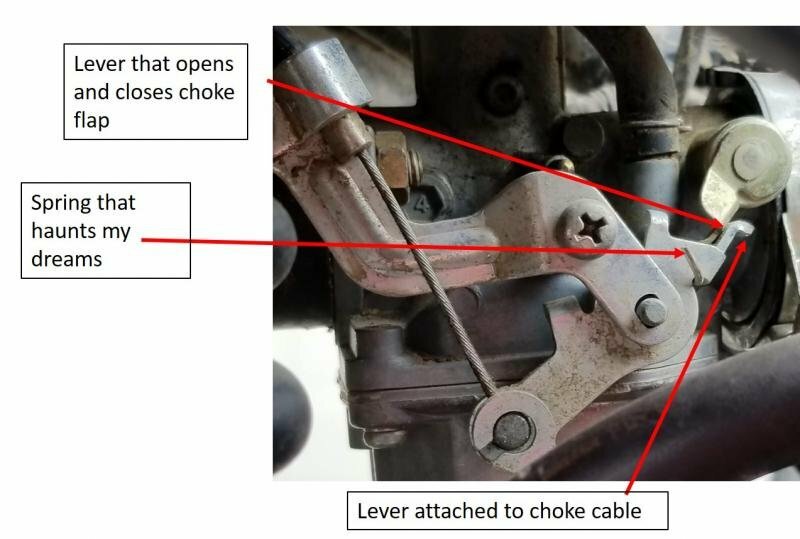 The handlebar choke lever (handlebar lever) opens and closes the choke fine except when the handlebar lever is full choke. 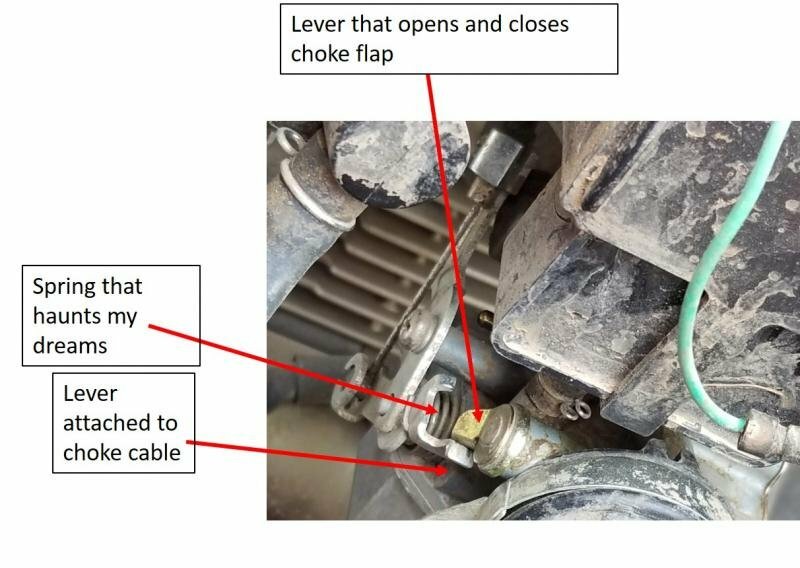 When that happens the lever controlled by the choke cable (cable lever) hyperextends. As a result, the lever attached to the carburetor (carburetor choke lever) that opens and closes the flap is stuck. It is stuck because the cable lever no longer has the right angle to push the carburetor choke lever open again. As a result, it just jams in there and the choke stays closed until I use my finger to pull up the carburetor choke lever and then everything snaps into place. I thought I just loosened the spring that pulls on the cable lever to pull it open (and keep it from hyperextending). I bought a new spring, but the same problem continued. Two weeks and many hours later I'm posting here for some help. I know other models use this terrible design (2006 250DVX), so here is hoping someone has encountered and solved this problem. 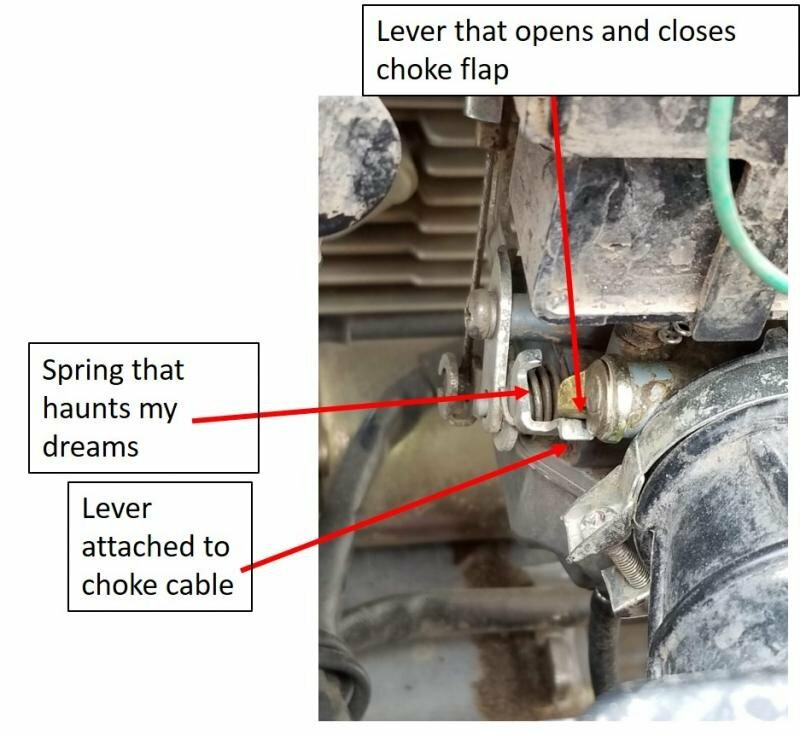 Any advice regarding 1) the choke getting stuck in the close position, and 2) getting the spring in the right place is appreciated.